Trucks are more dangerous than guns when handled by the wrong person and the accidents caused by trucks often leave victims injured and dead with destroyed properties in its wake. As a victim of this unfortunate incident, you can endure the pain better if you know you have a case and that the case will earn you enough to handle the bills that come with this accident. 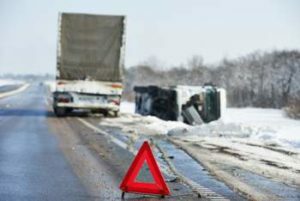 Truck accident attorneys are available to swing immediately into action as soon as they are called on. If you are or were involved in this accident in Santa Ana, CA, it is important that you do not hesitate to seek the services of a reliable truck accident attorney in Santa Ana. If you do, be sure to come to us at Rawa Law Group. We are a 5-star legal agency with attorneys who are dedicated to giving a voice to victims of accidents and help them get the maximum possible settlements after the unfortunate incident. We have the some of the top accident attorneys in California and a combined experience of more than 55 years in this business. We have helped clients in the past to maximize their claim settlements and see to it that they get paid in full, an amount running into several hundreds of millions. At Rawa Law Group, our attorneys are always at your beck and call and are available to visit you at the hospital or in your home. With our very flexible appointment hours, meeting with and having personal attention from one of our attorneys is sewn right for your schedule. As we work on your case, we ensure that you are aware of everything and every move we make. We also offer our clients free case evaluation and only receive payment after the success of the case. To take advantage of our incentives and hire a reliable truck accident attorney Santa Ana, CA, then visit Rawa Law Group at the below address.